Amazing things are happening this August--my birthday month!!! One of the things I'm super excited about (more than my birthday, actually) is National Pizza Day on August 13-15, 2014. Where's the best place to celebrate this? At California Pizza Kitchen or CPK, of course! :) Had a preview last week with some blogger loves and we had so much fun tasting all 15 pizzas while catching up. Real pizza goodness. Here are photos! Pizza overload! Got to try 6-7 of these. Saraaaap. Untraditional Cheese -- crowd favorite! Sante Fe - my top 1! So yummmy. Buy-1-Take-1 pizza madness on those dates. You know what to do!!! 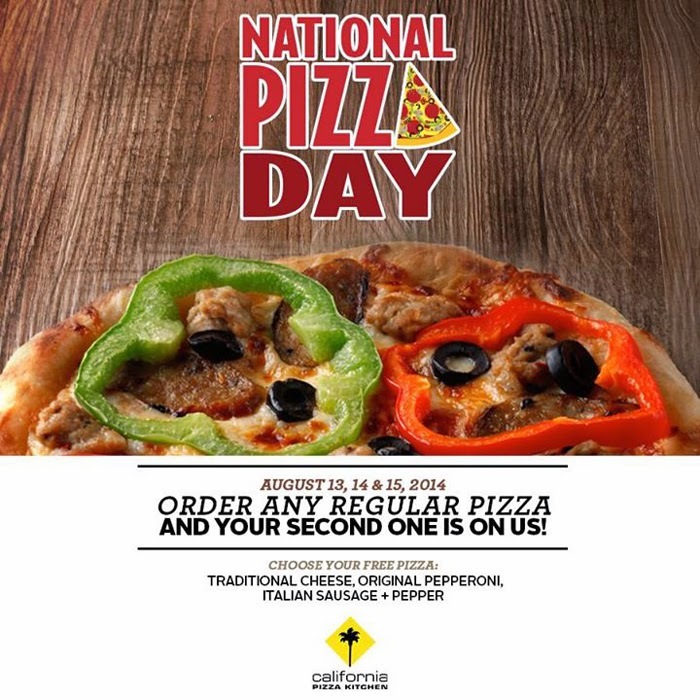 Celebrate National Pizza Day at any CPK branch! i just LOVE this pizza overload post!! yum!